(TibetanReview.net, Apr14, 2017) – For declining to smoke in front of religious elders, Chinese authorities in Xinjiang (East Turkestan) have demoted a village party chief, citing his refrain as an exemplar of “timidity in fighting against religious extremism”. 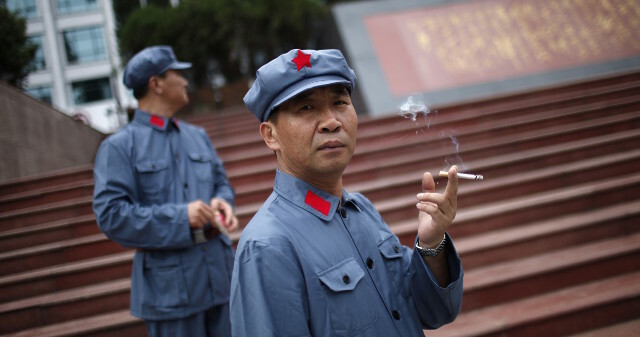 Jelil Matniyaz, Communist Party chief of a village in Hotan, was demoted from “senior staff member” to “staff member” last month for “being afraid to smoke in front of religious figures,” Hotan Daily was cited as having reported Apr 8. Matniyaz, an Uighur, was also reported to have been charged with having “infirm political stands”. Global Times, run by China’s official party mouthpiece People’s Daily, quoted another local official as explaining that government leaders must push back against “extreme religious thought” while questioning Matniyaz’s “commitment to secularization” for his no-smoking behavior”. While saying that smoking is a personal choice, and religious and ordinary people should respect each other, the report has claimed that Matniyaz’s behavior of ‘not daring’ to smoke conformed with extreme religious thought in Xinjiang. The reports said almost a hundred other Hotan officials had also been named and shamed for offenses including “lax work styles, dereliction of duty, and bribery” in a probe that was personally directed by Chen Quanguo, Communist Party Secretary of Xinjiang, who has vowed to crack down on religious extremism after being transferred over from Tibet last August.